In the last few months, we’ve taken Windows 10 gaming to a new level by partnering with Microsoft Studios to deliver marquee titles such as: Gears of War: Ultimate Edition, Rise of the Tomb Raider, Quantum Break, and Forza Motorsport 6: Apex (Beta), all of which support both DirectX 12 and the Universal Windows Platform. A big thank you to those who have given us feedback. We read it all – the Window Store reviews, the reviews on gaming-focused websites, and even some of the giant threads on the various forums. Looking further into the future, you can expect to see some exciting developments on multiple GPUs in DirectX 12 in the near future, and a truly impressive array of DirectX 12 titles later this summer and fall. In the meantime, stay tuned to our blog and follow us on Twitter @DirectX12 for a post coming soon about DirectX performance! What is the Universal Windows Platform and how does it relate to gaming? The focus of this blog is on graphics – for a broader understanding of UWP and gaming, the “Future of Game Development on Windows”, presented last //Build is a good place to start. I thought this was the DirectX blog, why are you telling me about the Universal Windows Platform? DirectX supports both classic (Win32) apps and Universal Windows Platform apps. App developers who wish to use DirectX 12 can use either Win32 or UWP – we are committed to making them both work great and there should be no performance differences between them. From a graphics perspective, how is a Universal Windows App different from a Win32 app? For the most part, the Direct3D code in a Universal Windows App is largely the same as a Win32 app. There are some changes to the core Windowing system, which mostly effect how full screen windows work, see “Does DirectX 12 and UWP support full screen exclusive mode” below. There are no performance differences between a DirectX 12 UWP app and a DirectX 12 Win32 app. How does “unlocked frame rate” relate to tearing and vsync support? How do these relate to G-SYNC and FreeSync? Vsync refers to the ability of an application to synchronize game rendering frames with the refresh rate of the monitor. When you use a game menu to “Disable vsync”, you instruct applications to render frames out of sync with the monitor refresh. Being able to render out of sync with the monitor refresh allows the game to render as fast as the graphics card is capable (unlocked frame rate), but this also means that “tearing” will occur. Tearing occurs when part of two different frames are on the screen at the same time, and is now possible in UWP games with this update. G-SYNC and FreeSync solve the game/monitor synchronization problem by determining when the game is ready to render a new frame. When the game is ready, the graphics driver tells the monitor to refresh the display. This allows your game to render as fast as the graphics card is capable without any tearing, but requires monitors which support adaptive refresh technology. Want to know more about how this works? 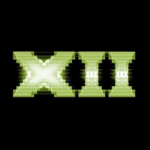 Check out our DirectX 12 Developer Education YouTube channel! I have a hybrid laptop (laptop with integrated + discrete GPU), the unlocked framerate doesn’t seem to work for me? This is a known issue, and there is additional engineering work underway to enable this as quickly as possible.